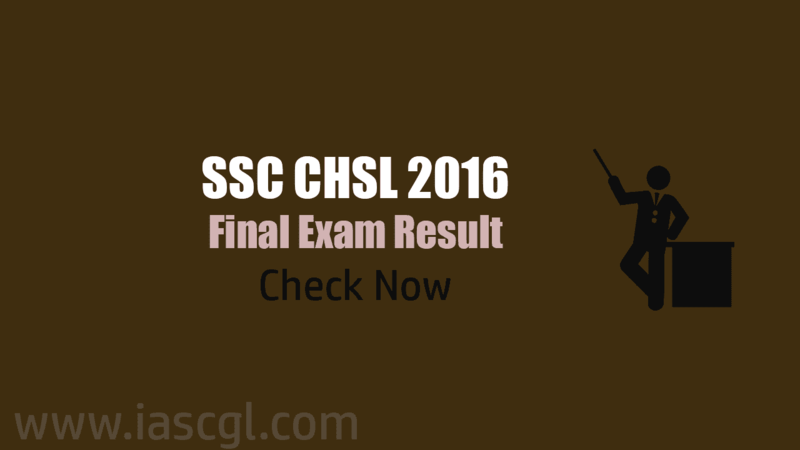 Staff Selection Commission has declared final result of SSC CHSL 2016. Staff Selection Commission has declared final result of Combined Higher Secondary Level(CHSL) 2016. Candidate who appeared in the examination can check their result from the official website of SSC or a direct link given in this article.